Enjoy information on Hauser Lake boat rentals, watercraft, jet skis, and tour at this beautiful location in Montana. The lake is actually a reservoir created by the dam which is 25 miles long, has a surface area of 3,800 acres. 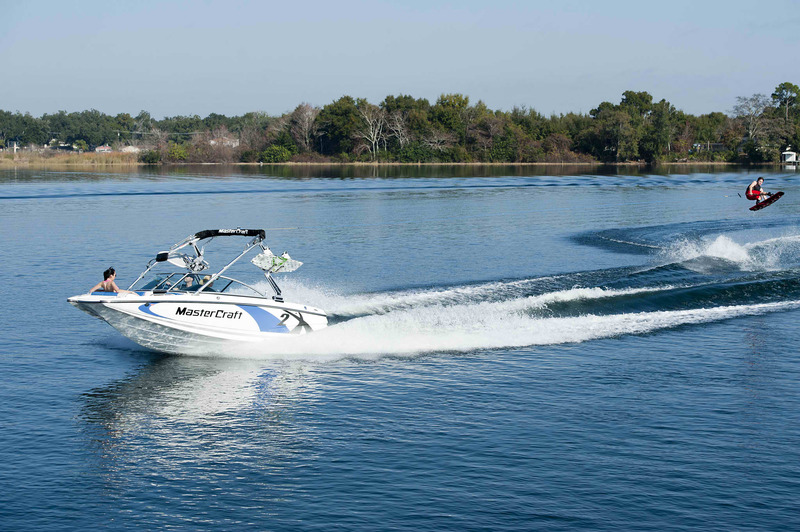 Hauser Reservoir has a average depth of 26 feet and a maximum depth of 70 feet allowing for water skiers, wakeboarders, wakesurfing, and tubing. The creation of Hauser Lake led to the creation of nearby Lake Helena. The water impounded by Hauser Dam inundated the lower portion of Prickly Pear Creek, causing the formation of Lake Helena which our rental services are also available at. A narrow canyon 3.9 miles in length filled with deep water connects Hauser Lake with Lake Helena. Lake Helena is extremely shallow and develops dense amounts of aquatic vegetation, making it an important nesting, stopover, and feeding area for birds. The distance from Hauser Dam to Holter Reservoir, the next lake downstream, is 4.6 miles.